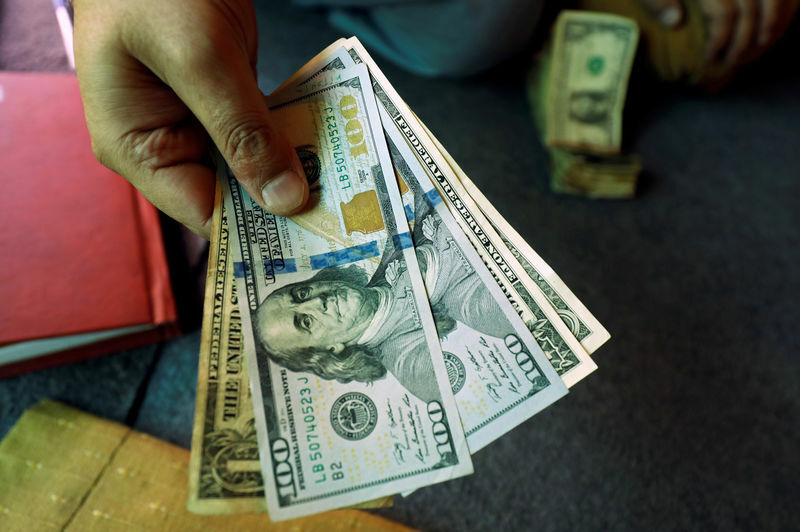 LONDON (Reuters) – The dollar fell for a third consecutive day against its rivals on Monday on growing bets the U.S. central bank will press the pause button on its rate hike cycle in the coming months. Against a basket of its rivals (), the dollar declined a quarter of a percent to 95.92, nearing a 2-1/2 month low hit last week. The euro () and the Australian dollar led gainers with the latter also benefiting from the weekend news of growing policy stimulus in China. The Australian dollar , whose fortunes are closely correlated with China, gained half a percent to $0.7140. The dollar advanced 0.2 percent versus the to 6.8483.